The DSWA team has dedicated their professional lives to the betterment of the industry through the establishment of an Alliance that is solely committed to serving the needs of independent direct sellers everywhere. Sheena Tejeda has worked in the direct selling industry for more than 15 years, and currently serves in the capacity of COO of DSWA- The Alliance. Working closely with the company’s CEO and President, she is responsible for all aspects of the organization's operational policies, objectives, and initiatives, ensures successful execution of business strategies for company products and services, and is focused on bringing the vision to life at all levels of the organization. Prior to joining the DSWA, Sheena served as the Executive Vice President of a mutli-million dollar international multi-level marketing company. Sheena started her career in the direct sales industry in 1996 as part of the in-house legal team and in 1999 became the company’s Vice President of Operations. In that capacity, she was responsible for the company’s operations, sales, marketing, web development, product research and development, legal, and technology teams, with the last four years focused on the company’s international licensing and expansion. 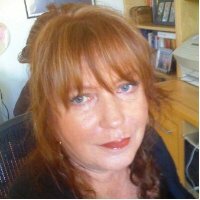 Over the years, Sheena has served as part of many professional organizations such as the Association of Legal Administrators, Society of Consumer Affair Specialists, Society of Competitive Intelligence Professionals, and the Government Relations Committee and Internet Council for the Direct Selling Association. An accomplished and expert coach and trainer, Benny’s career in Direct Sales began 20 years ago working as the Manager of Sales Development for a large direct selling company in Mexico and then as the Director of Sales for Brazil. In 2009, Benny decided to pursue his own entrepreneurial interests and became a Certified Life and Executive Coach. 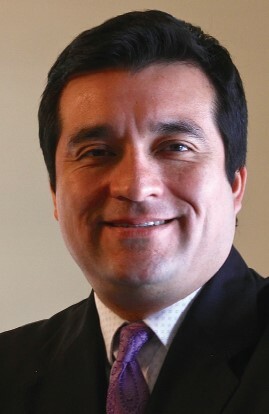 Benny has an MDO degree from the University of Monterrey and an MBA from the University of Texas at Dallas. Prior to joining the DSWA, Benny was engaged as a consultant to direct selling companies in Mexico and is a sought-after coach and public speaker. As Director of Spanish-Speaking Markets, he oversees the development and training of the DSWA’s Spanish programs, including DSWA Coach Excellence® School, ELITE Leadership® Online Certification, and the Webinar Training Series. He hosts events in the U.S. and Latin America for Spanish-speaking direct sellers and direct selling companies. Benny is a member of the DSWA Coach Excellence® School faculty and a DSWA Accredited Coach. Angie is an experienced Direct Sales senior executive with over 30 years of experience with Avon in North American and Global markets. He is a highly skilled leader, with expertise in direct selling talent development, dynamic team building, strategic change leadership, and organizational effectiveness. Angie’s various senior management roles with Avon have helped him establish a broad base of experiences and perspectives. He led the US Sales organization to record sales levels in 2003-2005, and also led the implementation of Avon’s direct selling model in China (2006-7). He served in lead regional sales roles in Asia Pacific and WEMEA (2007-8), and as Group VP of Global Sales (2009-2011), Angie was responsible for the definition and execution of a consistent Field Management Process, global sales compensation strategy, and global talent development. 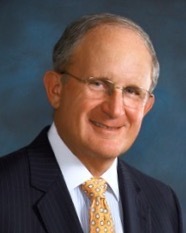 He returned to North America (2011-2013) to lead the largest business transformation initiative in Avon’s long history. An accomplished motivational speaker, Angie also has experience in operations management, recognition, events, and incentive strategy. Prior to Avon, he was a guidance counselor, teacher and coach. Angie holds a BA in Journalism from Rutgers University and an M.Ed in Secondary Guidance Counseling from the University of Delaware. With over 15 years of experience in project management, Mary Ann joined the DSWA in 2012 and quickly established herself on the DSWA’s Management Team. She acquired a BS in Political Science (2001) and has an extensive background in both business and public administration that spans the Government, Corporate, and Non-profit sectors. As Director of DSWA Training Programs, Mary Ann works closely with DSWA’s Corporate Clients and individual Hosts to establish public and private offerings of the DSWA’s premiere training programs around the globe. 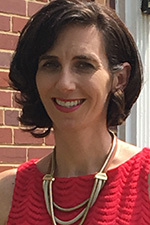 She oversees all aspects of the DSWA Coach Excellence® School and enjoys collaborating with the DSWA Executive Team to support professionals in the areas of Direct Sales, Education, Business Executives, and Ministry with applying the DSWA’s Principle Centered Coaching methodology to meet their goals. To reach Mary Ann and learn more about DSWA Coach Excellence School or for information on becoming a DSWA Certified Coach please email her at ProgramsDirector@dswa.org.